Raspberry Pi Zero W is the Pi, but at a largely reduced size of only 65mm long by 30mm wide and at a very economical price. With the addition of wireless LAN and Bluetooth, the Raspberry Pi Zero W is ideal for making embedded Internet of Things (IoT) projects. The Pi Zero W has been designed to be as flexible and compact as possible with mini connectors and an unpopulated 40-pin GPIO. The heart of the Raspberry Pi Zero W is a 1GHz BCM2835 single-core processor, the same as the B+ and A+, with 512MB RAM. Raspberry Pi Zero W is about four times faster than the original Raspberry Pi and is only a fraction of the cost of the current RPi3. The setup for the Raspberry Pi Zero W is little more complicated than on other Pis. Because of the small size, many of the connectors on the Pi Zero are not standard. 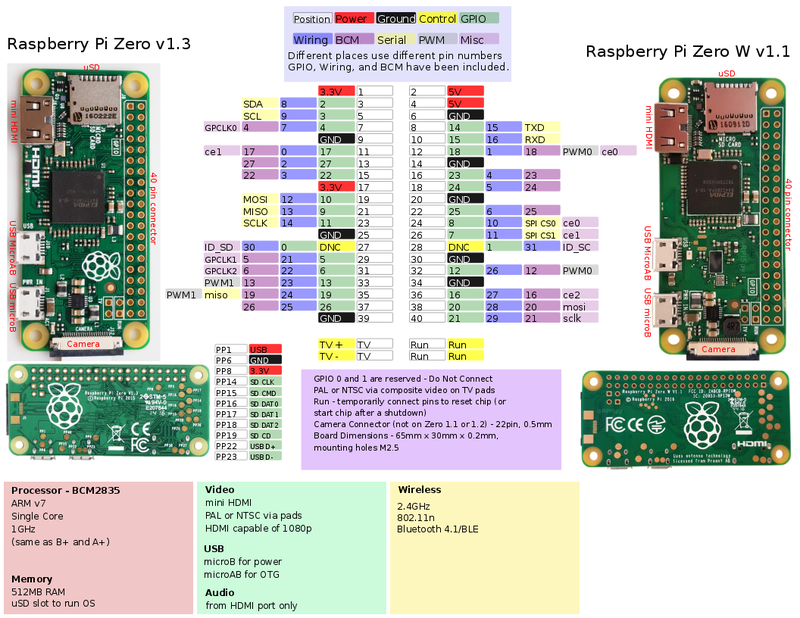 Note: As of the release of the Raspberry Pi Zero W the NOOBS image will need to be updated to work on Pi Zero boards.